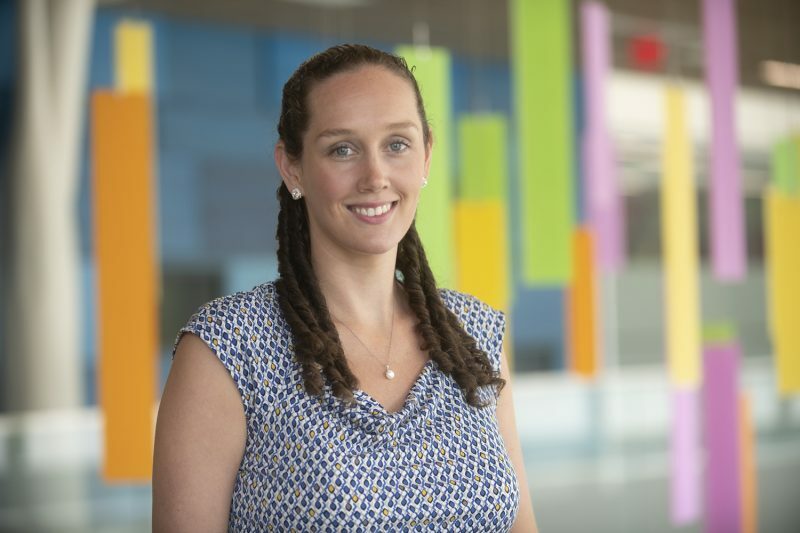 Experiencing new cultures and places is one of the things new pediatrician Lauren Pontikos, M.D., enjoys doing most in life. While seeing the breath-taking views of the Alps or a kangaroo hopping around Australia is impressive, Dr. Pontikos is always amazed at the things she learns and the people she meets as a pediatrician right here in Ohio. While treating infants, kids and teens with minor to acute medical conditions, she has the opportunity to listen to patients’ stories of adventure – from going to preschool to playing sports in a championship game – which allows her to care for the whole patient, not just a symptom. A: Switzerland. Out of all of the countries I have traveled to thus far, I really loved the beautiful scenery, food and laid back lifestyle people led there. Q: What’s your favorite breakfast? A: I hit snooze on my alarm and then when I actually get up out of bed, I go check on my daughter in her room. I love seeing how peaceful she is while sleeping, as well as seeing the interesting positions she somehow ends up in. 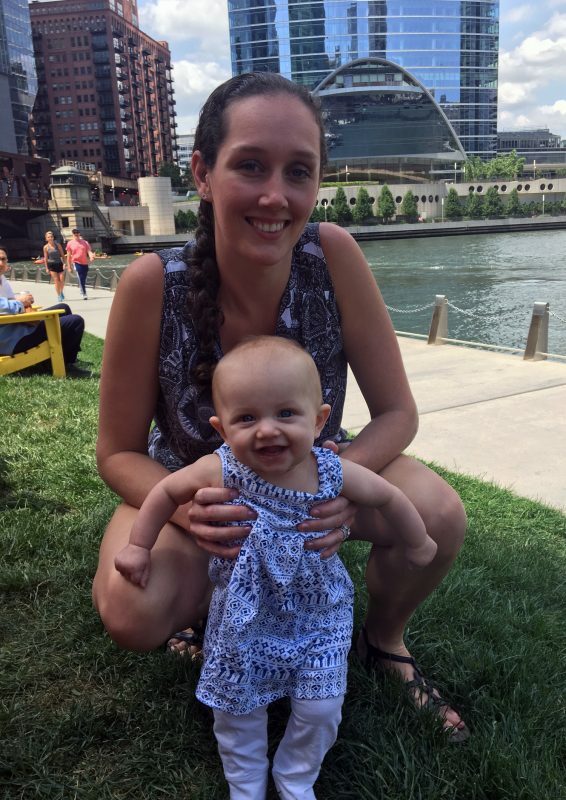 Dr. Lauren Pontikos with her daughter, Olivia, while visiting Chicago. A: When you enter this world, you are crying and everyone around you is smiling. Live your life so that when you leave this world you are smiling and everyone around you is crying. Q: Do you dunk your Oreos in milk, lick off the icing, eat them as they are or avoid them altogether? A: My childhood way of eating Oreos was to stack several of them in a glass, let them soak in milk until they almost completely dissolve, drink the milk and then eat them as smashed cookie mash with a spoon. A: I’ve been married to my husband, Alex, for almost 5 years. We’ve been going strong since we met in preschool, at Temple Beth Am, in a suburb of Buffalo, NY. We have a 9-month-old daughter, Olivia. 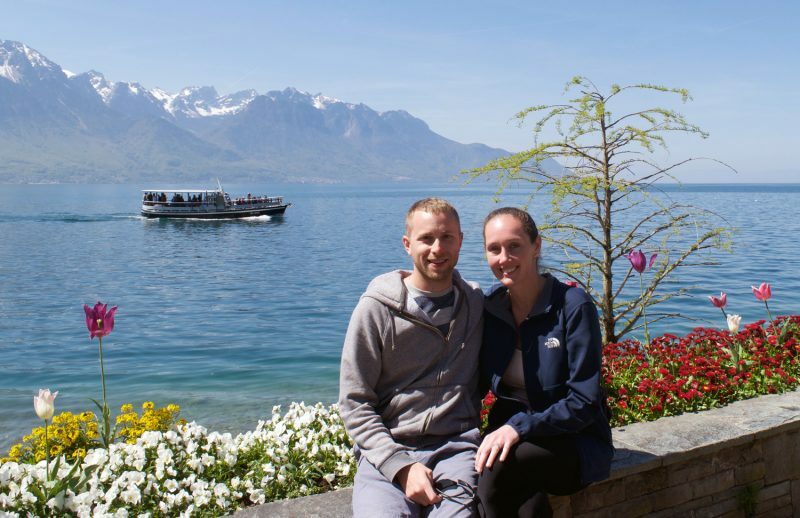 Dr. Lauren Pontikos with her husband, Alex, along Lake Geneva in Switzerland. Q: What’s your favorite food? Who makes it best? A: Tacos, made best by my mom. I don’t know what she does to make them taste so much better than most other tacos, but she does make a complete mess of the kitchen when making them! Thankfully, I’m able to eat them more often now because I live only a few hours away from her compared to the 8-9 hour commute I’ve had the past 8 years. A: My parents have always been big concert-goers so as a toddler I was on the lawn at several rock and roll concerts, including Melissa Etheridge and Loggins and Messina. The first concert I chose to go to was the Spice Girls, on July 4, 1998. I went with my mom, 2 sisters and best friend, Katie. We dyed our hair with glittery, multi-colored hair mascara, which we thought was very rebellious. A: I was a “mother’s helper/nanny” in my middle school years, but the first legitimate job I had was as a file clerk at a law office. I enjoyed being able to share lunchtime with my mom, who also worked at the office, but realized pretty quickly I didn’t really want to do legal work for a living. Q: Do you have a special hobby or interest? A: I love to travel and experience new places. Major trips I have been on include New Zealand, Australia, Israel, Greece, England, France, Italy, Switzerland, Dominican Republic and Ghana. Some places I would like to go in the future are Ireland and Norway. I hope to continue to travel as a family and instill a desire for experiencing new places and cultures in my daughter.